Home » Events and Blogs » Blog » Why we’ve all started colouring in! 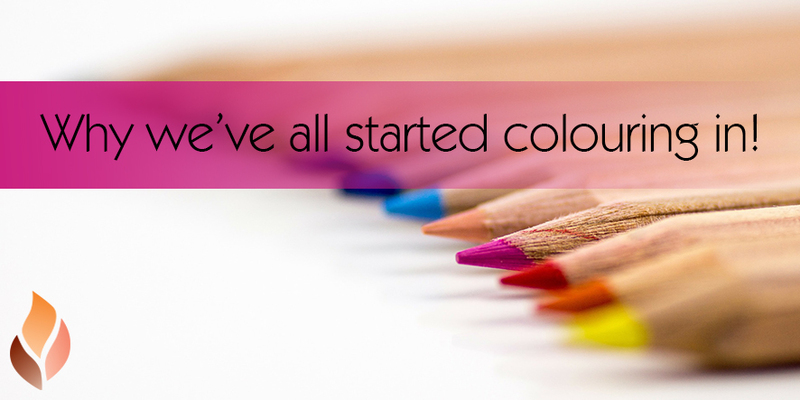 Why we’ve all started colouring in! Did anyone else receive a colouring in book for Christmas??? Adult colouring in books are the latest craze spreading like wildfire! Why have they become so popular? Well, there are heaps of funky patterns and pictures to choose from, they release our inner child and they’re a fantastic stress reduction technique. Stress is quite a significant health issues that affects millions of people, and is a health issue that can contribute to future health problems. In fact, severe stress is not only psychologically draining, but the repercussions can also be felt throughout the body – affecting the immune system and triggering systemic inflammation. The problem lies not with stress itself, but with how we handle it. Most of us are unaware how to switch off and release from our everyday stresses. Cue colouring in – the stress reduction technique that is used to reduce stress and feel calmer. Today, colouring is also recommended to reduce anxiety as the activity is both structured and creative! The first colouring in book for adults was created in 1970. Up until then, adults were using childrens colouring in books. Interestingly enough, colouring does the same for children and adults – helping to relieve stress and encourage creativity! Overall, colouring will help train your mind to focus on one activity thereby reducing stress, improving memory, reducing emotional reactivity and improving your cognitive flexibility!